Corrosion can cause a huge amount of damage to vehicles, machinery and any component made from metal, because apart from undermining efficiency and performance, if left unchecked rust can significantly reduce a machine’s lifespan as well. 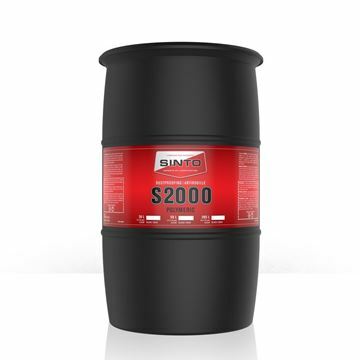 SINTO’s wide range of rustproofing products is designed to safeguard the performance and longevity of whatever vehicle or machine you operate. SINTO products penetrate deep into metal cracks, folds and welding seams, which not only stops new corrosion from developing, it also prevents existing rust from getting worse. Our specially designed products also resist moisture and prevent calcium and other contaminants from accumulating, therefore eliminating the conditions in which rust can proliferate. SINTO’s high tech rustproofing products are specially designed for ease of application, making them ideal for reaching even the most inaccessible areas. These highly adhesive formulations not only make it easy to provide a thorough coverage, but because they can withstand heat and repel moisture they can be applied in any and all conditions without jeopardising their effectiveness. Concerned about the environment? So are we! That is why we offer a high quality eco-friendly rustproofing option as well. Rustproofing Enviro3 is made from premium quality biodegradable vegetable oil; it is designed to resist dripping and cracking as well as to be odour free, and is ideal for use on vehicles and industrial machinery. Regardless of whether you are looking to protect a new car, an old tractor or a fleet of heavy duty transport vehicles, you can count on SINTO rustproofing products to safeguard your investments. If you have questions regarding your rustproofing options our team of dedicated professionals will be happy to help. Simply give us a call or connect with us online.